When you walk through the doors of the beautiful home, you immediately notice its elegant grace. It was clearly built for family gatherings and entertaining friends. You can sense the community within the home. There is something for everyone here, starting with an amazing billiard room where you can play poker while someone else plays the grand piano. Along with that, there is an open-air concept that brings the outdoors into the luxurious living room and kitchen. As if that wasn’t enough, there is a beautiful craft room that is filled with precious whimsical touches. 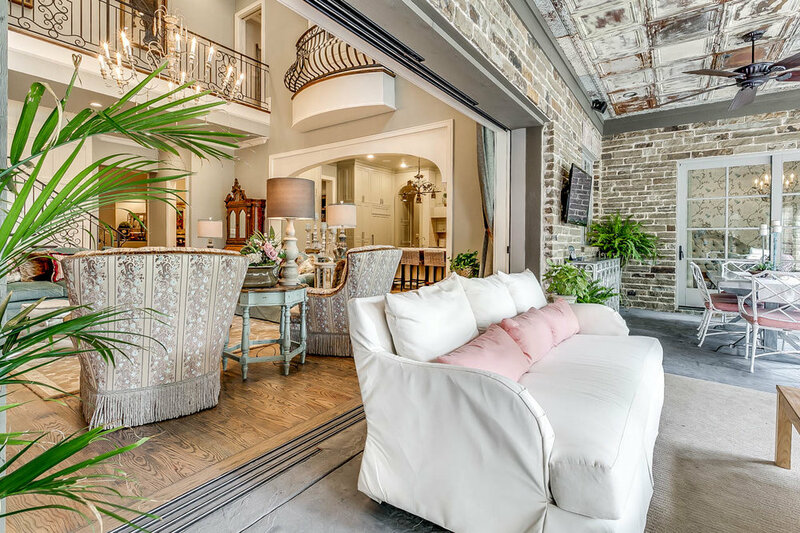 It’s the sweet, beautiful details that make this home so unique. 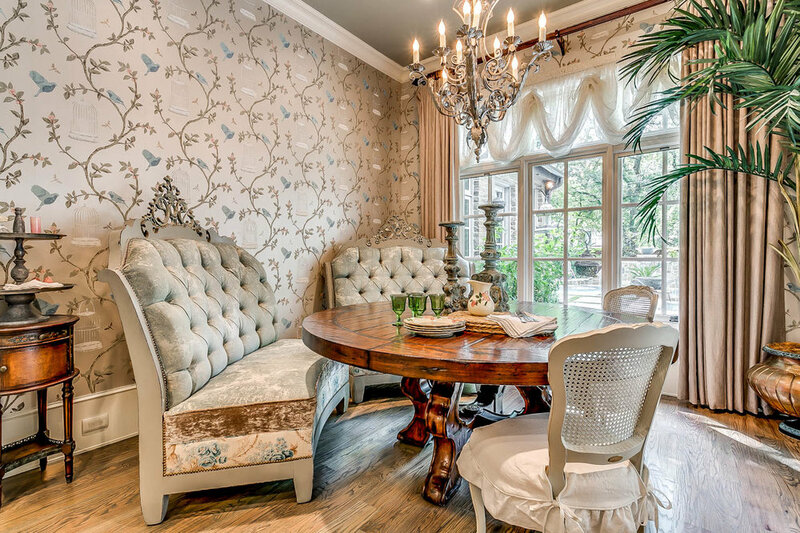 The furnishings and fabrics were selected to create a very vintage look. We utilized soft pastels and rich greens & pinks to contrast each other, which makes each detail stands out. 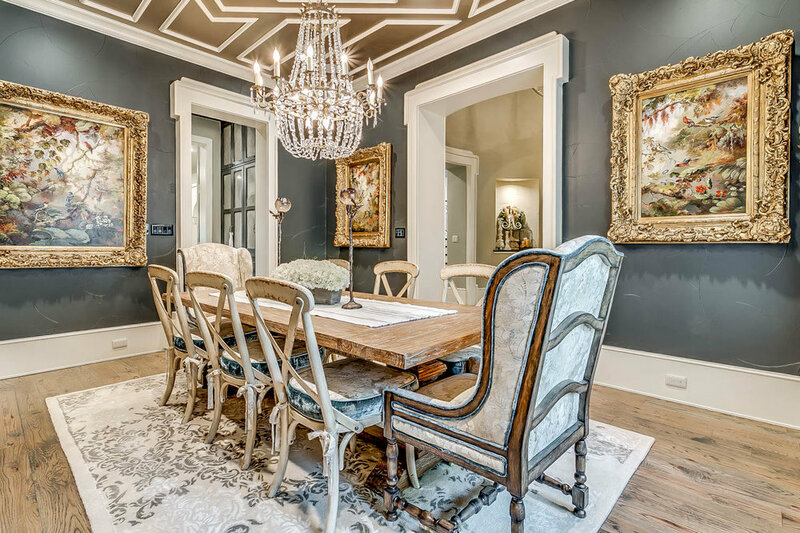 The furnishings are the perfect mixture of ornate classic with distressed whitewashed finishes, which creates a beautiful dichotomy of styles. All in all, the design choices here give the home a very charming and elegant style.